We drive through the beautiful coastal town of Torquay, stop for a gander at Bells Beach’s famous surfing waves and enjoy a delicious locally sourced lunch in Apollo bay. After lunch we head to Port Campbell National Park to see the 12 Apostles. Here you find walking tracks to explore and if you are up for a little adventure, a helicopter (extra) can take you for an aerial view of these incredible formations. The day ends with a spectacular sunset over the 12 Apostles with the possibility of seeing little penguins emerge from the sea; a truly magical experience. Day two begins with a breathtaking sunrise over Loch Ard Gorge (for those of you who are early risers). 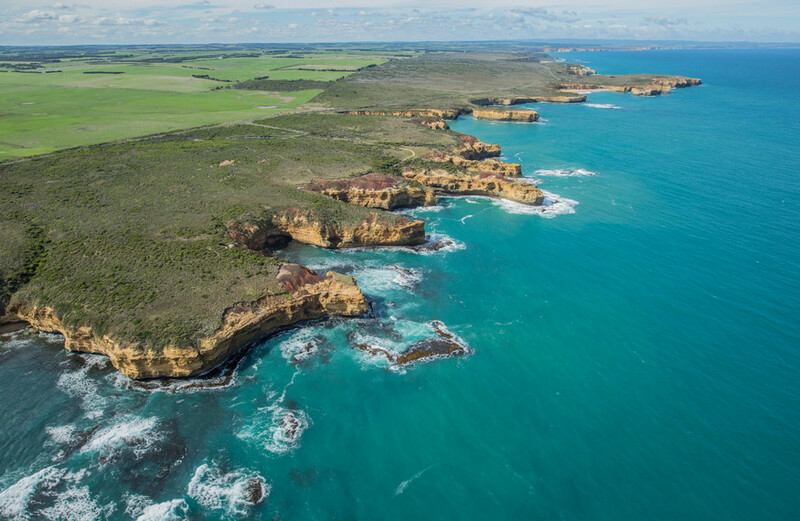 Then we’re off to hear the history behind the mysterious London Bridge and pay a visit to the Bay of Islands and the whales at Warrnambool. Finally, we arrive at Halls Gap, the heart of the Grampians National Park. Here we explore the mountainous terrain, lush bush land, impressive water systems and abundant wildlife. 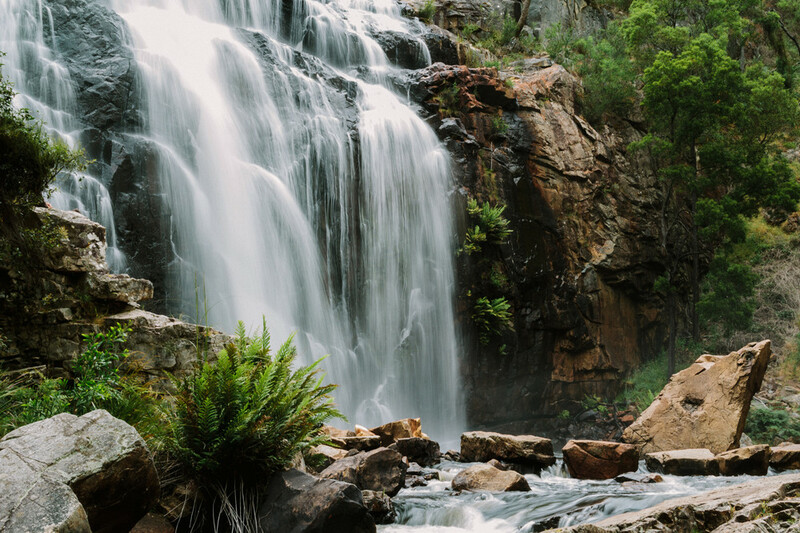 With fields of colourful flowers, gushing waterfalls, spectacular lookouts and range of walking tracks, adventure and discovery is at your fingertips. We also visit Lake Bellfield for beautiful picnic and swimming areas as well as the possibility of boating activities. 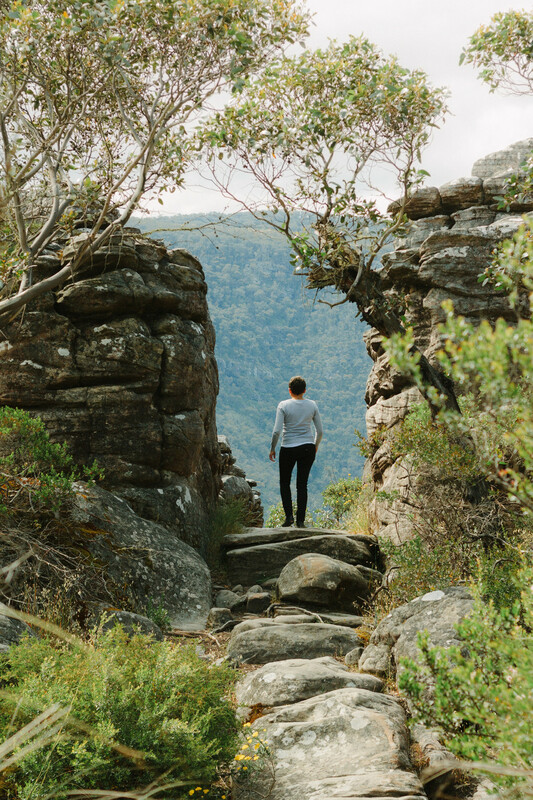 On day three the adventure continues with guided walks, insights to Aboriginal culture and exploration of the Grampians National Park before heading back to either Adelaide or Melbourne.